Cape Bretoners love our island and are proud of our history. Now we have a unique opportunity to take a 9-minute glimpse into the past. 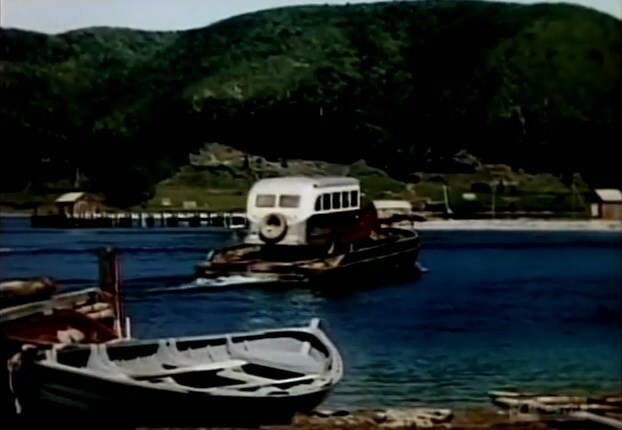 This video showcases the island in 1948. NOTE: THE ORIGINAL VIDEO HAS BEEN REMOVED BY THE OWNER. IN ITS PLACE, WE HAVE ADDED 2 MORE VIDEOS SHOWING CAPE BRETON OF YESTERYEAR. Wonderful to see - thank you for sharing. Nice video. I was 8 at this time and didn't appreciate what Cape Breton was on the world stage. A little Island that was so prosperous and a busy seaport. Rather disappointed North Sydney was not shown as The gateway to NFLD, a very important little town. Thanks for sharing. I have to wonder what Dr. Bell would think of the telephone of today. Hi John: Thanks for bringing this to our attention. The owner of the original video has made it unavailable. We have added 2 other videos that show the Cape Breton of a bygone era. We hope you like them.